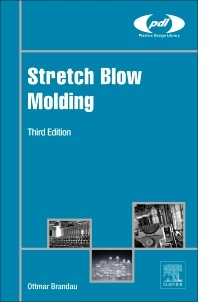 Stretch Blow Molding, Third Edition, provides the latest on the blow molding process used to produce bottles of the strength required for carbonated drinks. In this updated handbook, Ottmar Brandau introduces the technology of stretch blow molding, explores practical aspects of designing and running a production line, and looks at practical issues for quality control and troubleshooting. As an experienced engineer, manager, and consultant, Brandau’s focus is on optimizing the production process, improving quality, and reducing cycle time. In this new edition, the author has thoroughly reviewed the content of the book, providing updates on new developments in stretch blow molding, including neck sizes, new equipment and processes, and the economics of the process. The book is a thoroughly practical handbook which provides engineers and managers with the toolkit to improve production and engineering aspects in their own businesses, allowing them to save money, increase output, and improve competitiveness by adopting new technologies. Ottmar Brandau is President of Apex Container Inc. in Ontario, Canada. Brandau is a member of the Society of Plastics Engineers and was previously VP Operations at Magic North America Inc.